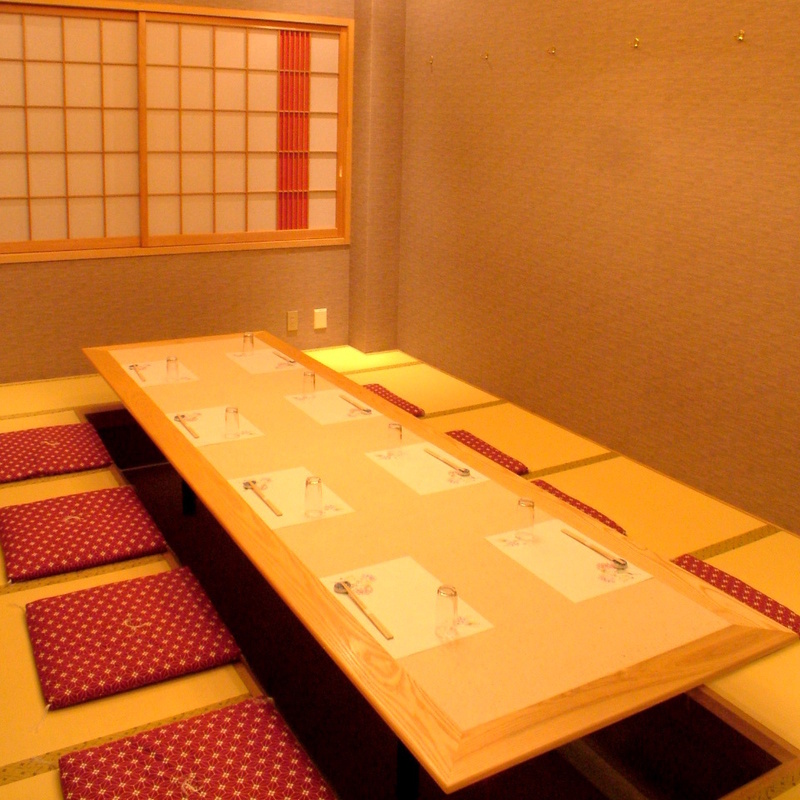 There are three table seating for 4 people.We will prepare according to the number of people. 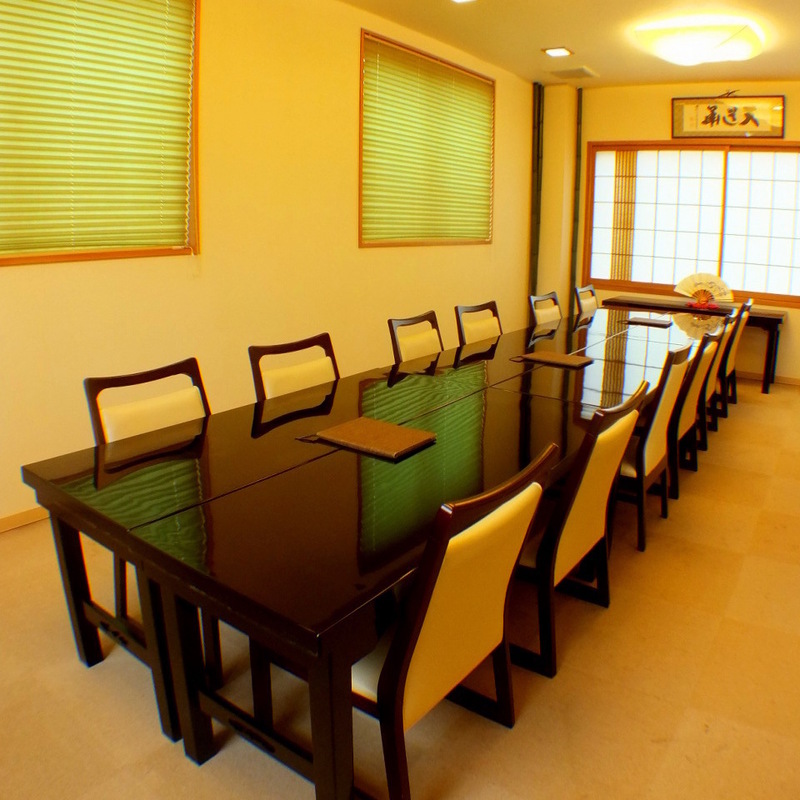 You can sit up to 12 people by connecting the tables.Since it is a complete private room, you can use it for dinner and lunch. 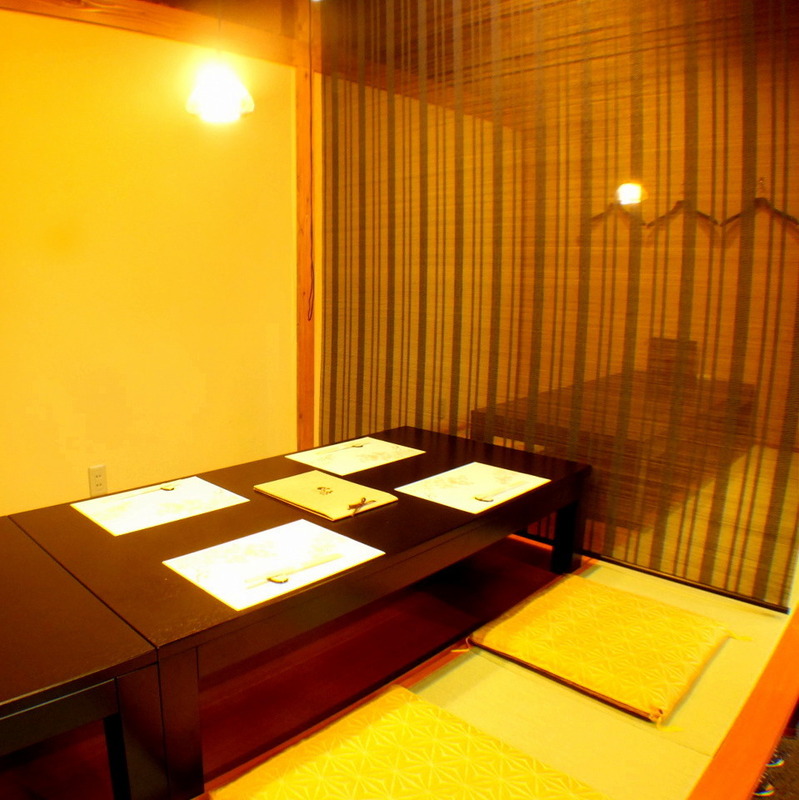 We have two seats for 2 seats of 4 seats and 6 seats on 1F. 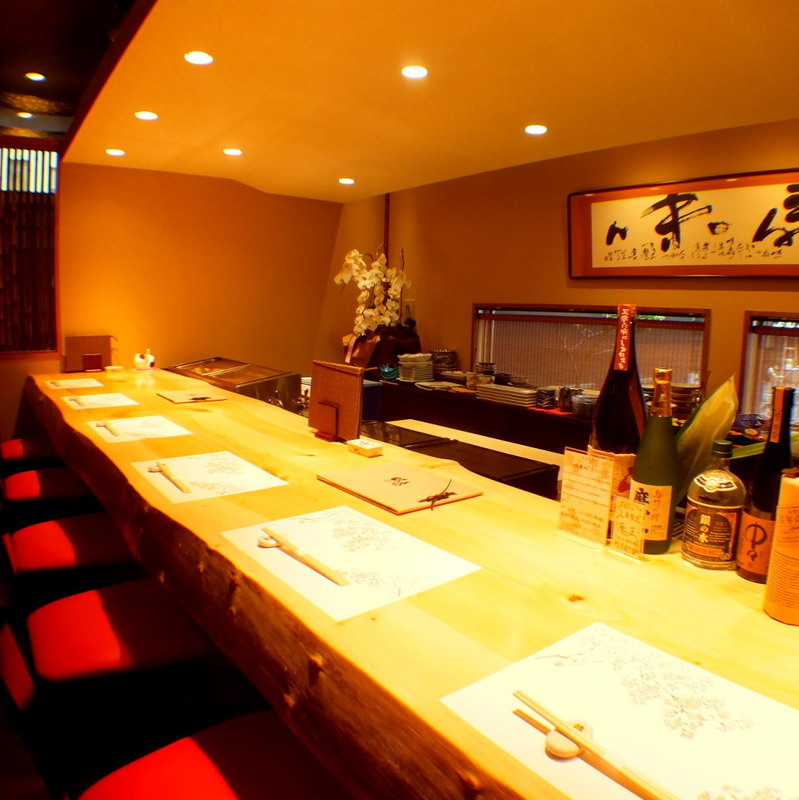 You can enjoy the cuisine made by craftsmen in front of you. 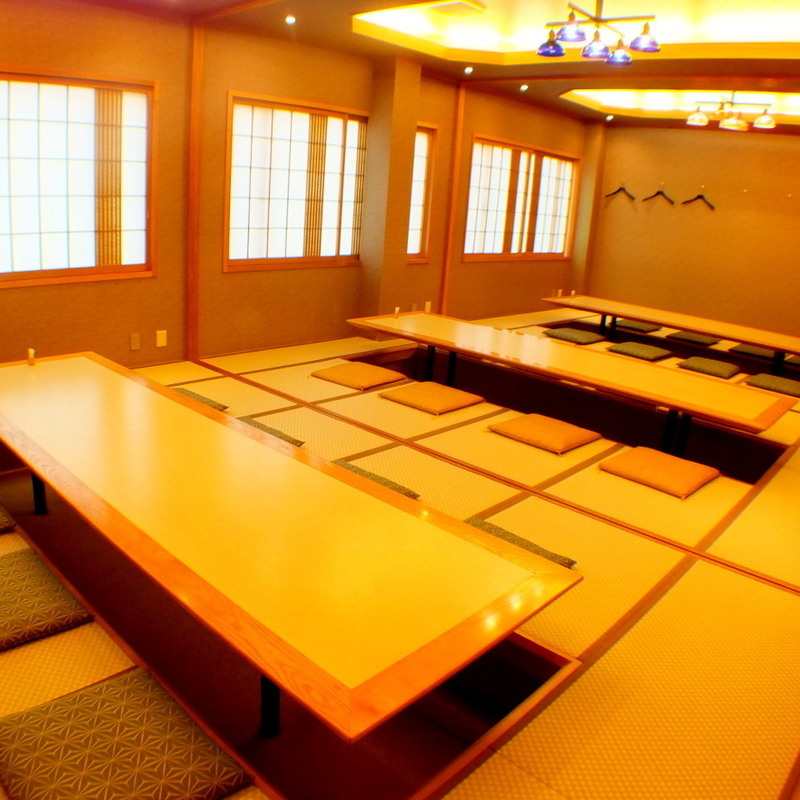 It is also a spacious large room that can accommodate up to 30 people if you leave out the partitions, so please come to various banquets as well. 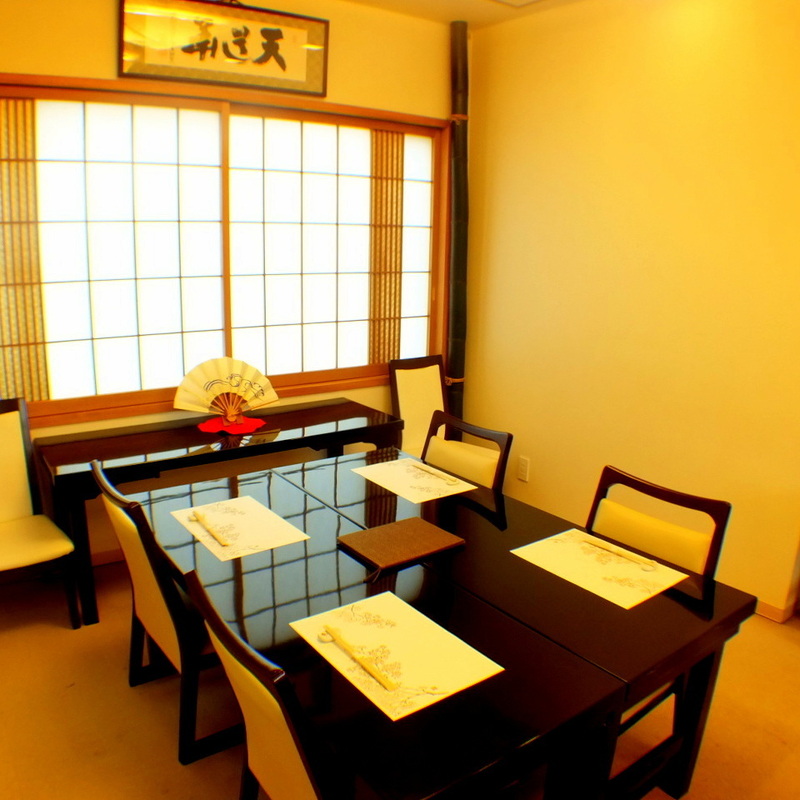 A dining room that relaxes and relaxes slowly.Up to 10 people OK.※ We will use it for more than 5 people.